We are proud to announce that the Master’s of Chaplaincy Ministry Program, we designed and launched in Bulgaria in 2006, has been selected to be part of the Social Service Program of New Bulgarian University. After being for years a valuable part of the regular curriculum of the Bulgarian Evangelical Theological Institute and the St. Trivelius Institute in the capital Sofia, the chaplaincy program has received the highest level of recognition as successful graduates will be finally able to receive government recognized degrees and apply their knowledge and training in chaplaincy on a professional level. The chaplaincy program can also serve within the Integration Proposal of local NATO programs and be instrumental in dealing with the enormous wave of Middle East migrants crossing through Bulgaria today. 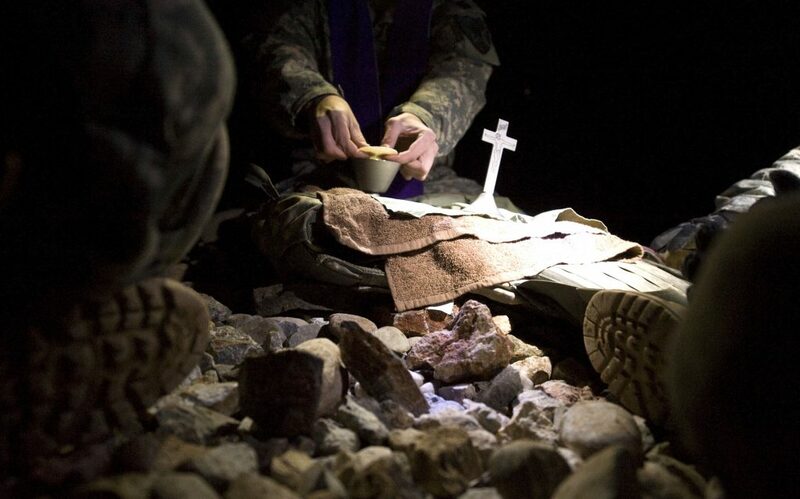 Legal provision allowing chaplains to work as staff in the army, which guarantees the equal presence of protestant chaplains as well. The approval, acceptance and implementation of a NATO based model for chaplaincy within the structures of the Bulgarian Army. Periodical and systematic educational strategy toward chaplaincy workers among Bulgarian evangelicals. A paradigm for cooperation of Bulgarian chaplains from various ethnic, religious and cultural backgrounds. 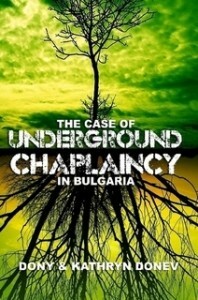 Further research publications to enhance the efficiency of chaplaincy within the Bulgarian national context. 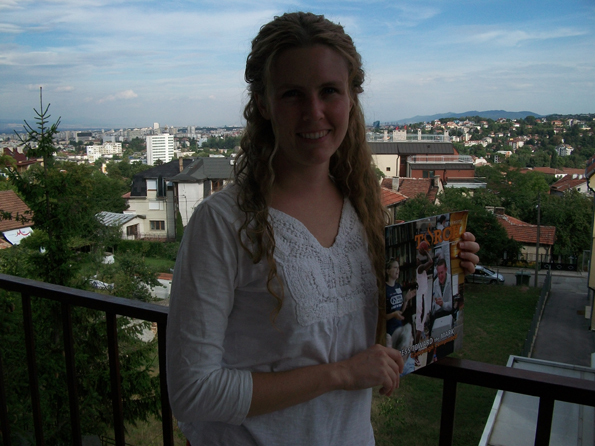 Transferred to the New Bulgarian University in Sofia under their new social worker studies program. But let us backup just a moment and start from the very beginning. 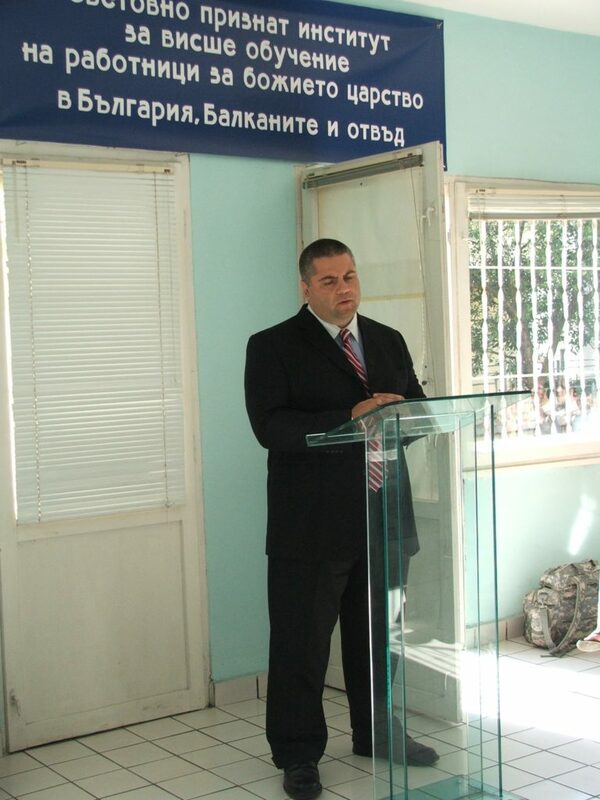 In the summer of 1995, while pioneering the first Bulgarian church in the Chicago Metro, the local Church of God state office offered a civil chaplaincy training course for beginners. Unfortunately, due to our heavy church schedule, the chance to attend was low and virtually unobtainable. It was not until five years later that our interest in the field was finally rewarded, as in the summer of 2000 both my wife-to-be and I completed the required course work for chaplaincy accreditation, followed by an intense module at the Erlanger Hospital in Chattanooga, where essentially the whole idea for the resurrection of chaplaincy ministry in Bulgaria was born. 1) Legal provision allowing chaplains to work as staff in the army, which guarantees the equal presence of protestant chaplains as well. 2) The approval, acceptance and implementation of a NATO based model for chaplaincy within the structures of the Bulgarian Army. 3) Periodical and systematic educational strategy toward chaplaincy workers among Bulgarian evangelicals. 4) A paradigm for cooperation of Bulgarian chaplains from various ethnic, religious and cultural backgrounds. 5) Further research publications to enhance the efficiency of chaplaincy within the Bulgarian national context. 1) Present a master’s level course work by the Bulgarian Chaplaincy Association and its educational initiative to the Bulgarian Evangelical Theological Institute (BETI) and the Bulgarian Ministry of Education. 2) Be received and approved by BETI as a master’s level educational program on a national level. 3) Aid BETI’s faculty with an international team of qualified professors for the completion of the educational process. 4) Satisfy the educational requirements for a chaplaincy vocation properly contextualized for Bulgaria in association with secular educational institutions, if necessary. Now that the Bulgarian Chaplaincy Program is an undeniable fact, we realize how our training was more than just a necessity for the implementation of such a great task. It was also well sufficient for a time as such. I’m especially grateful for the role of my wife Kathryn, who was the main motivator behind the program and who stepped in at very crucial moments in the teaching process providing the complete structure of the program’s counseling module through her training from the Department of Psychology with Lee University and expertise from the Crises Counseling Center in Cleveland. My own experience as a chaplain during my CPE days at Erlanger and Siskin hospitals, as well as educational background from the Pentecostal Theological Seminary and experience with various churches and organizations as an ordained Church of God bishop, also served as tremendous support in various steps through the whole process of the program from its envisioning and foundation in 2001. We are thankful to all friends and partners in the ministry who contributed with their own expertise in the designing of the program and the educational process. And at last a final word of encouragement to all students and churches now set forth to do the ministry of chaplaincy in Bulgaria through the first Masters’ of Chaplaincy Ministry Program in the country. Just this past week our students of the first Masters in Chaplaincy Program in Bulgaria finished their classes of the Theology Module. This is the second of three sets of courses designed to equip active chaplains in Bulgaria for a new level of ministry in the armed forces, medical establishments and correctional institutions. The theology module incorporated various subjects from several schools of thought giving the students a solid theological background on a master’s seminary level for their future ministry. We are now ready to approach the last of the three modules, which deals with clinical psychology and Christian counseling, which will involve the students in a set of research assignments and practicum curriculum contributing directly to the writing and defense of their masters’ thesis prior to graduation from the chaplaincy program. 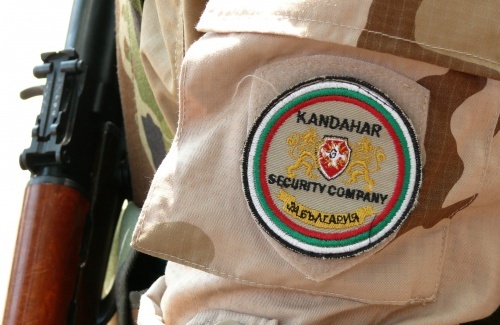 Selected thesis will be published by the university’s press as a new volume in their innovative series and turned to NATO’s research foundation as a proposal to consider chaplaincy within the Bulgarian Army, which still remains the only armed force within the Alliance’ structure which does not implement chaplaincy into their missions. After a thorough examination and countless hours of hard work toward its finalization, the Bulgarian Masters’ Program in Chaplaincy Ministry was finally approved by the educational board of the Bulgarian Evangelical Theological Institute. The program currently has 20+ students who are approaching the final year of their studies with expected graduation in the spring of 2012. We have been heavily involved in the preparation and teaching of the program and will be lead instructors in the psychology and counseling module this fall.